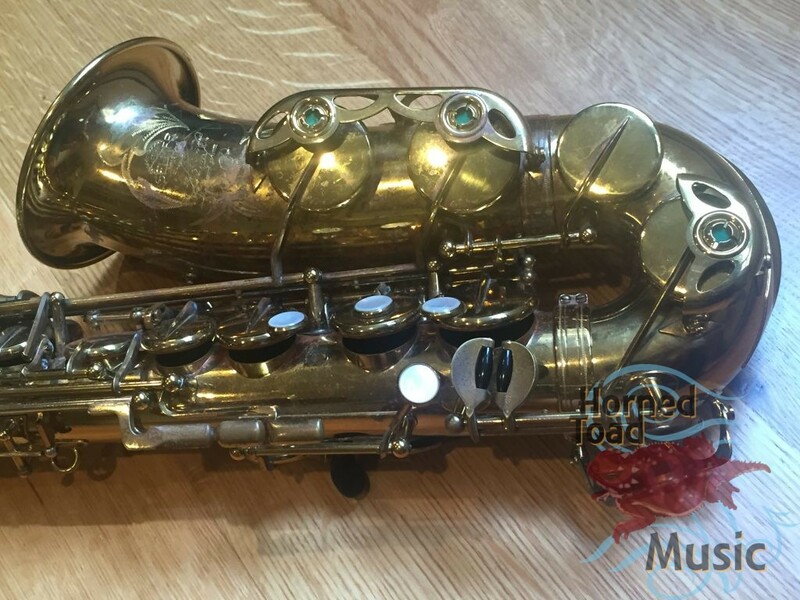 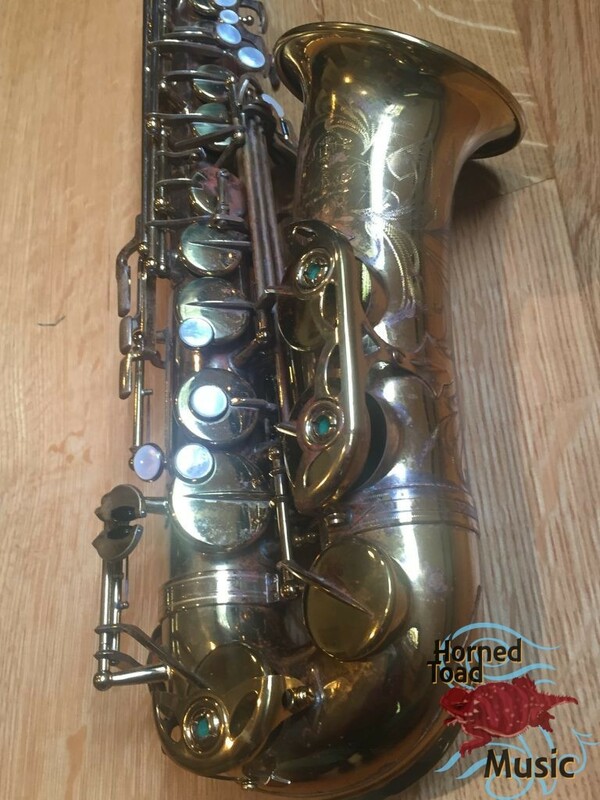 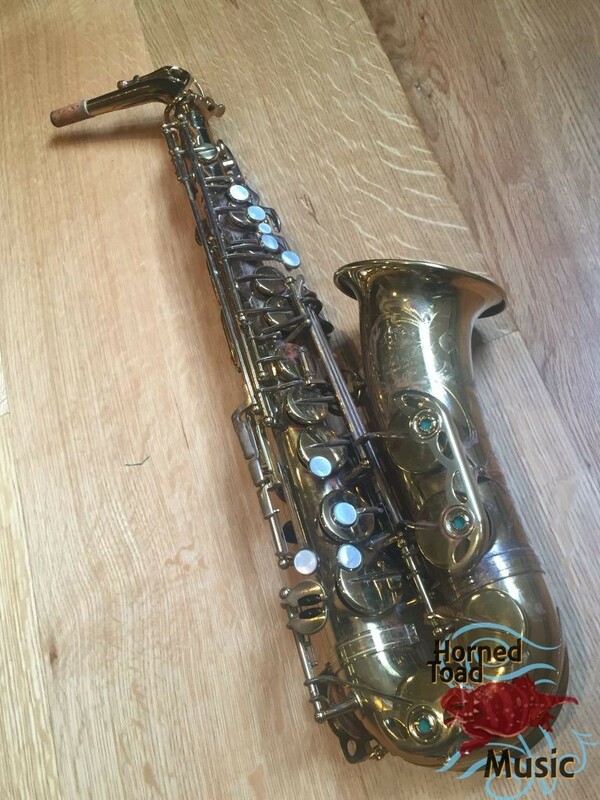 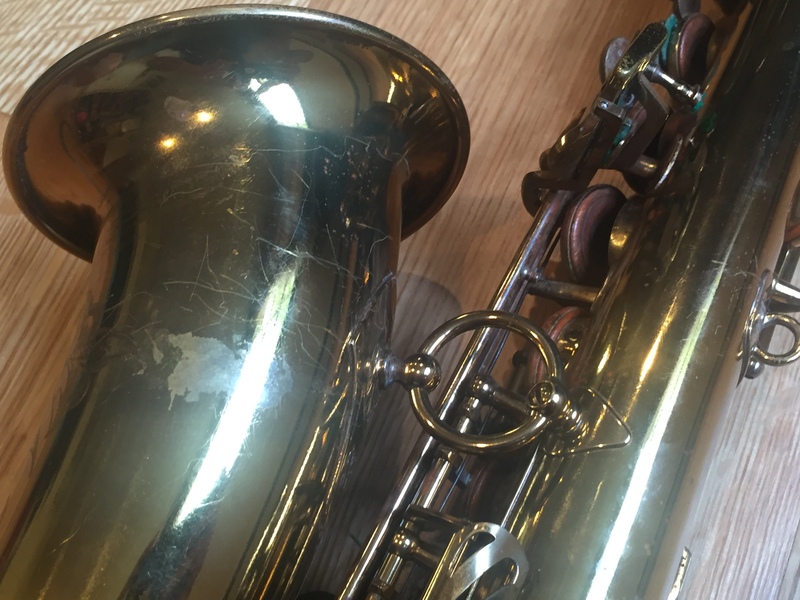 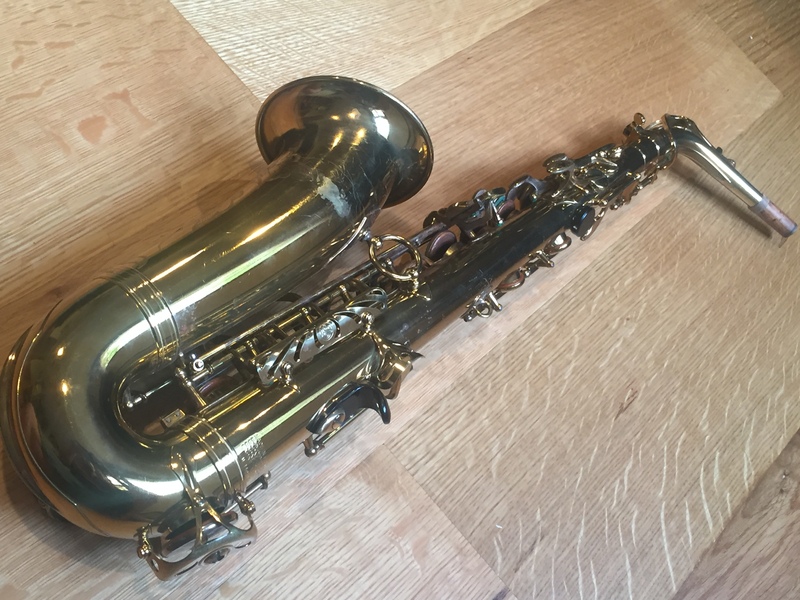 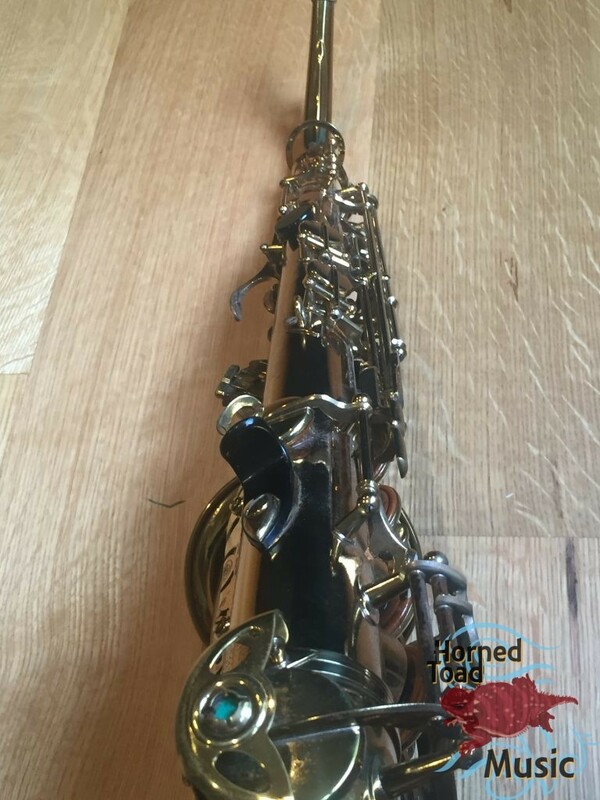 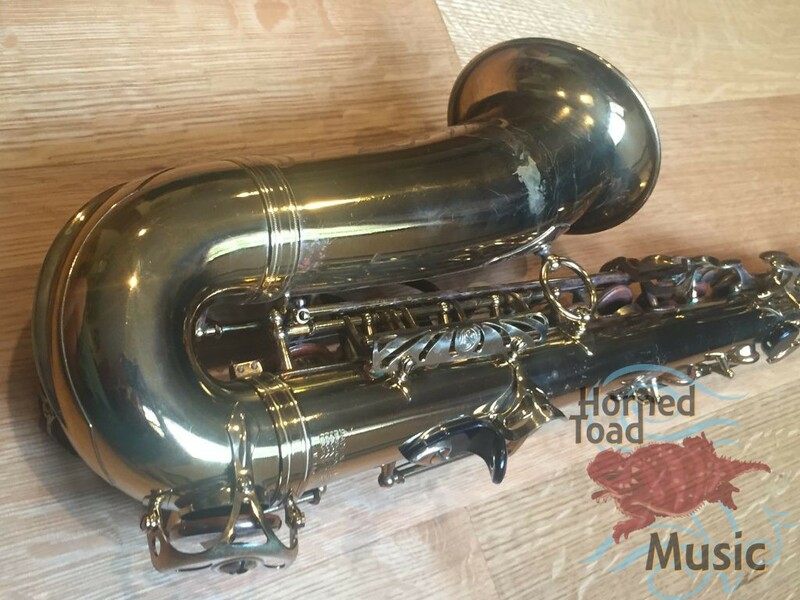 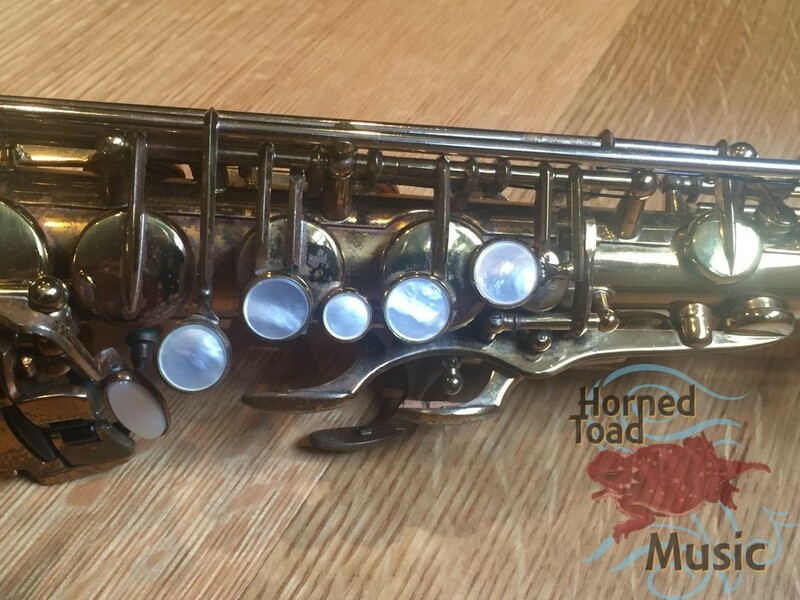 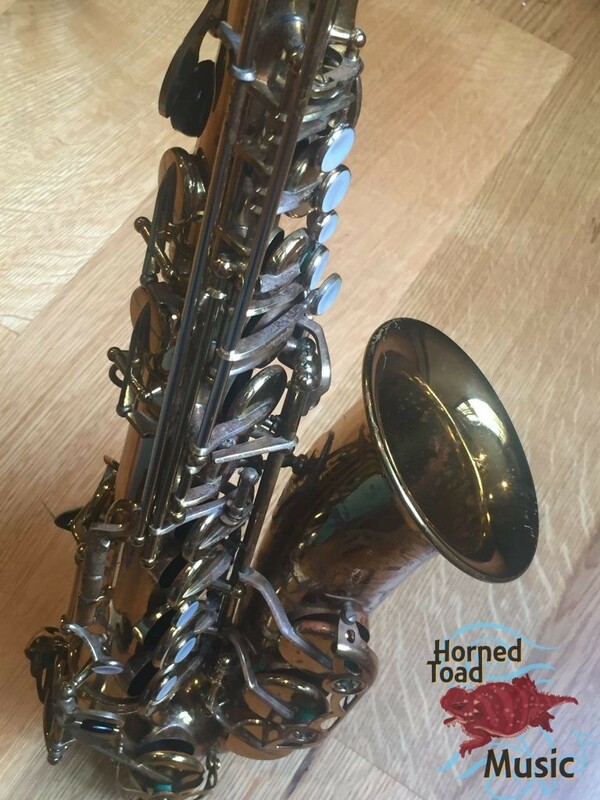 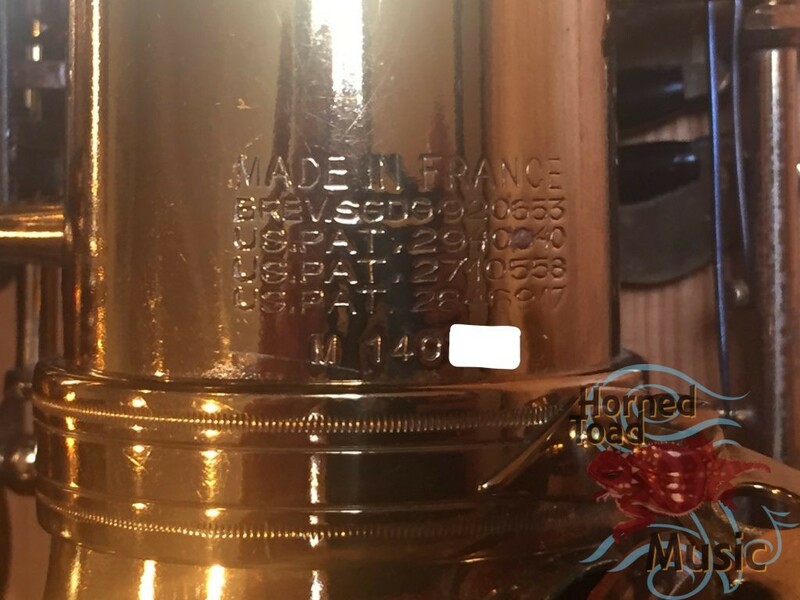 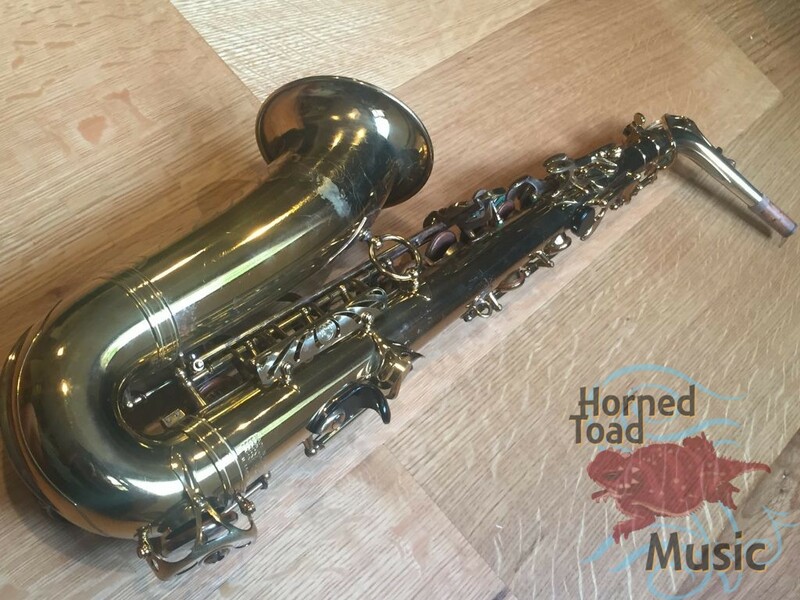 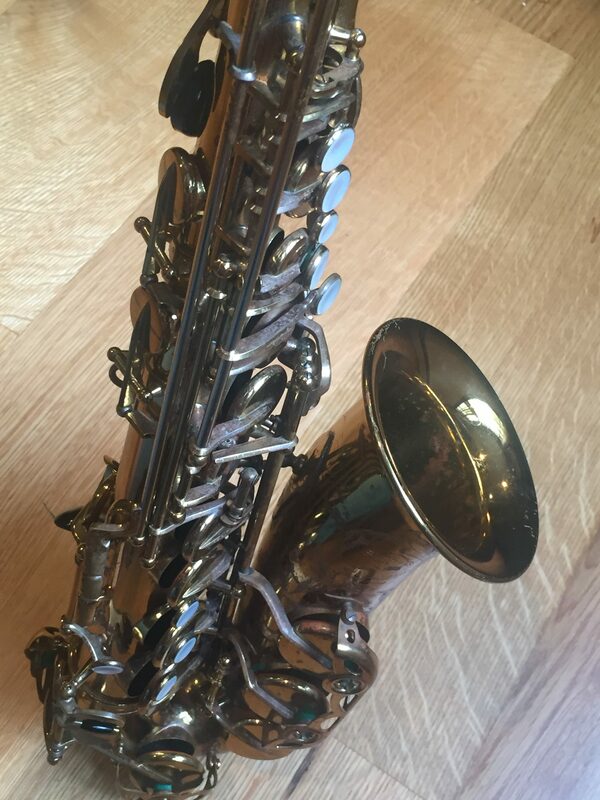 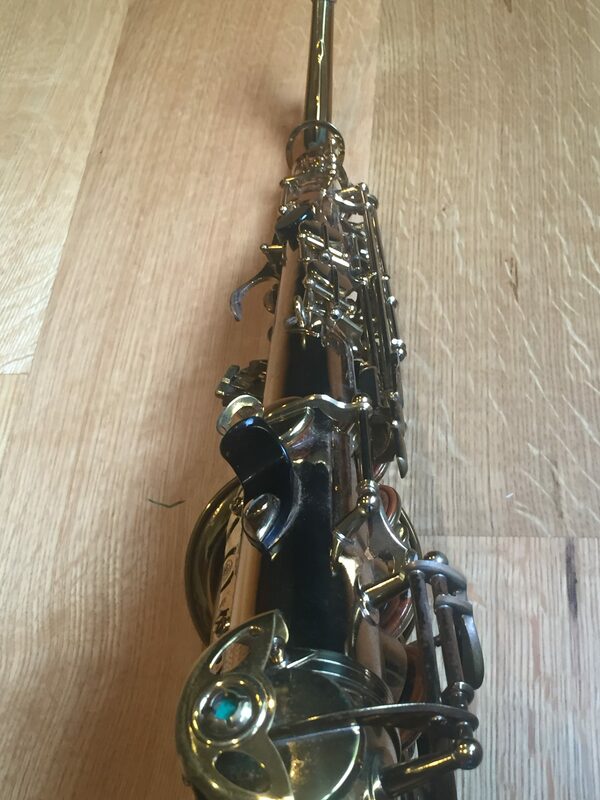 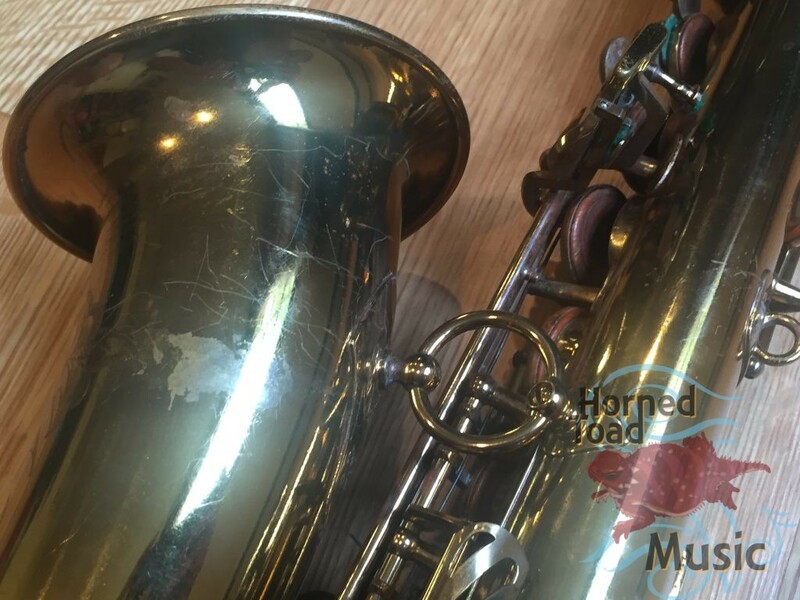 Selmer MK VI Alto Saxophone 140xxx Unparalleled TONE! 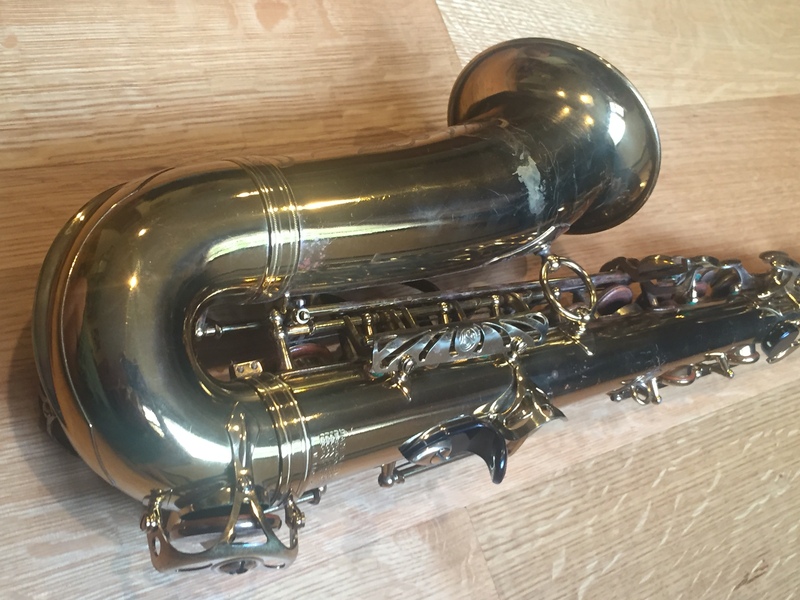 Here we have the most popular model period for Selmer Alto, the MK VI 140xxx series. This one is right on the number 140xxx has original finish with probably original pads as well. 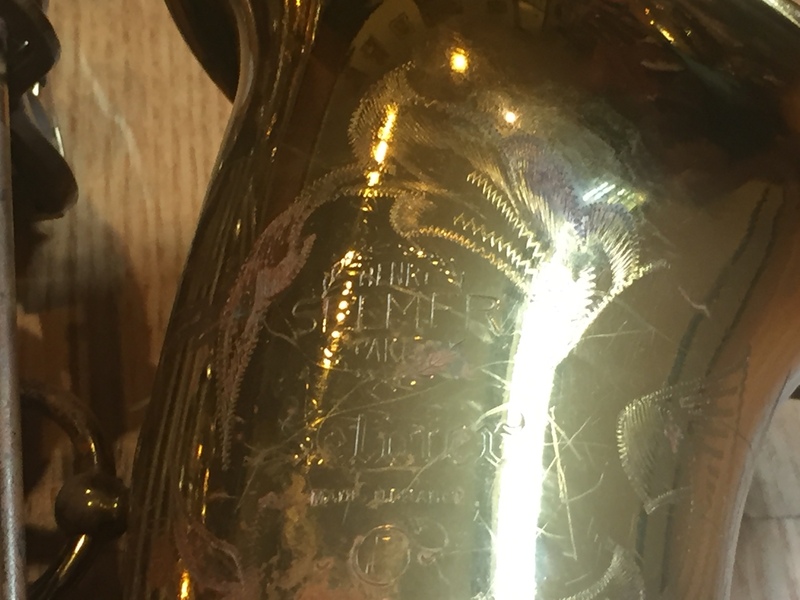 Now, I had someone up here who had an alto also numbered 140xxx that he bought personally from David Sanborn, and was a personal horn of Sanborn’s. 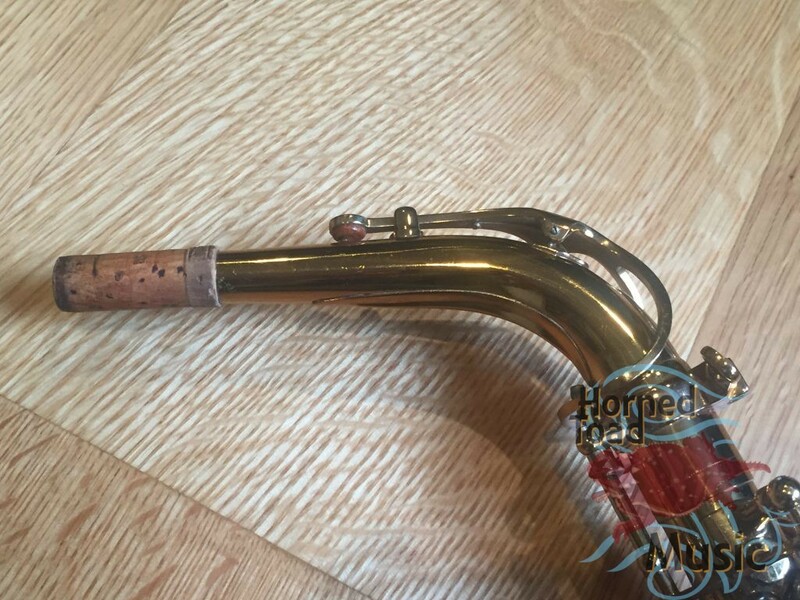 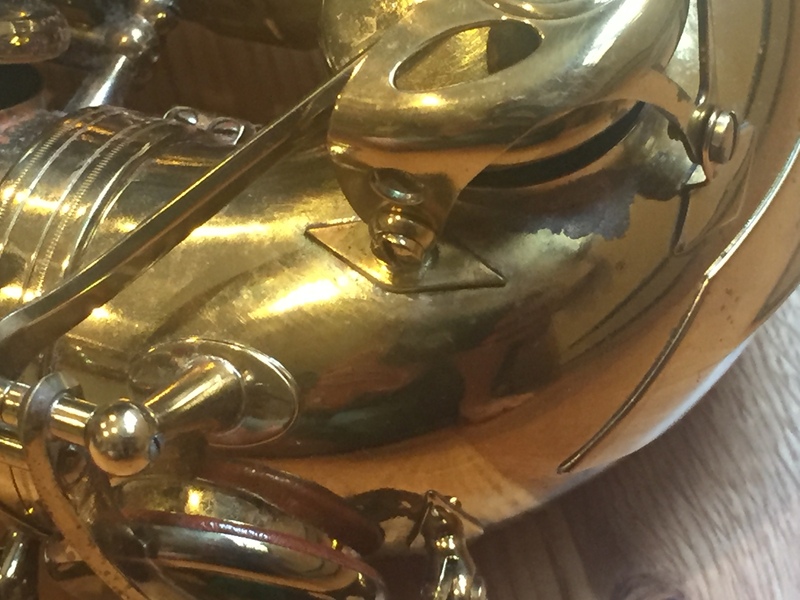 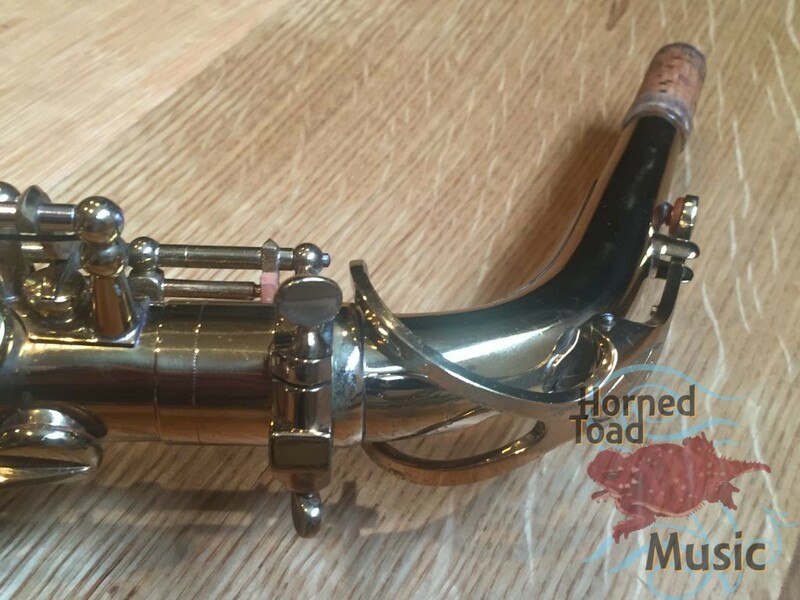 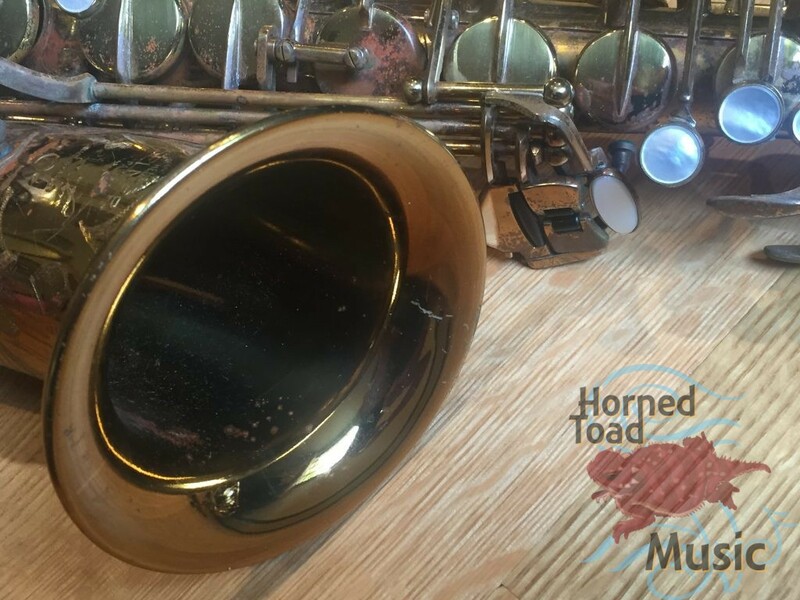 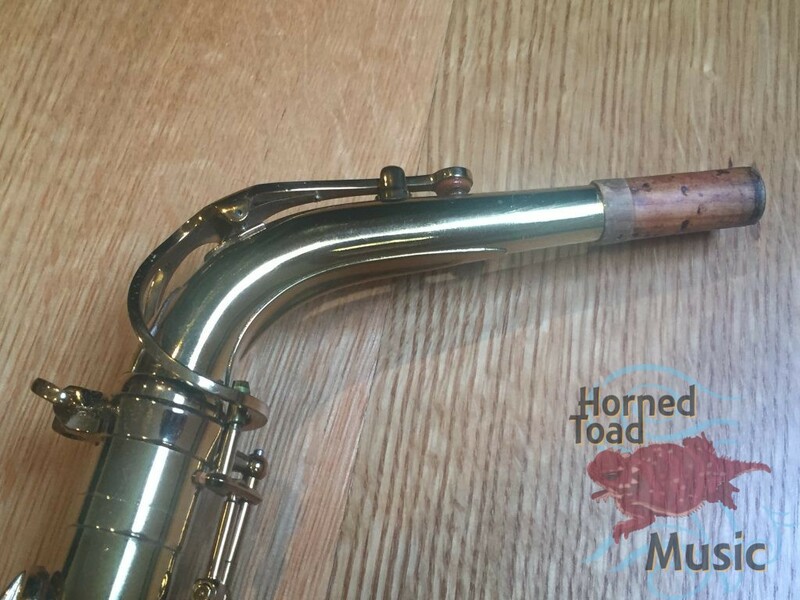 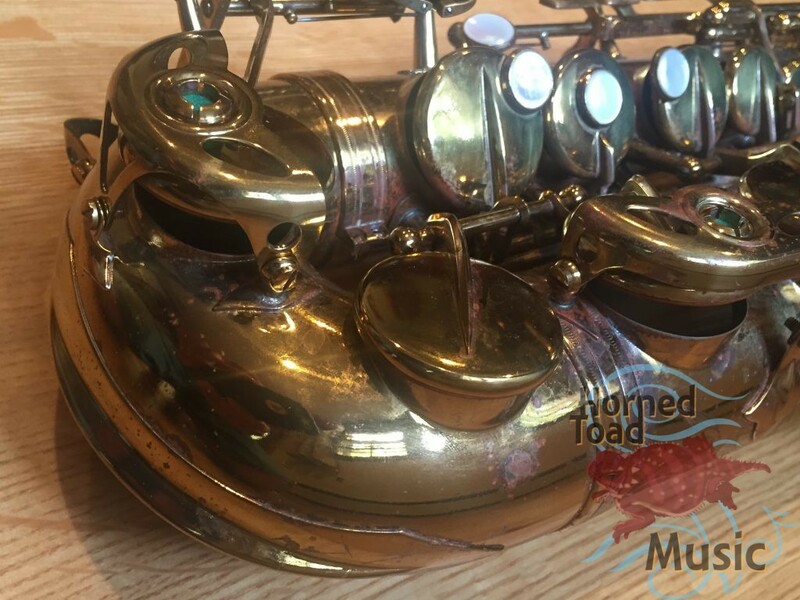 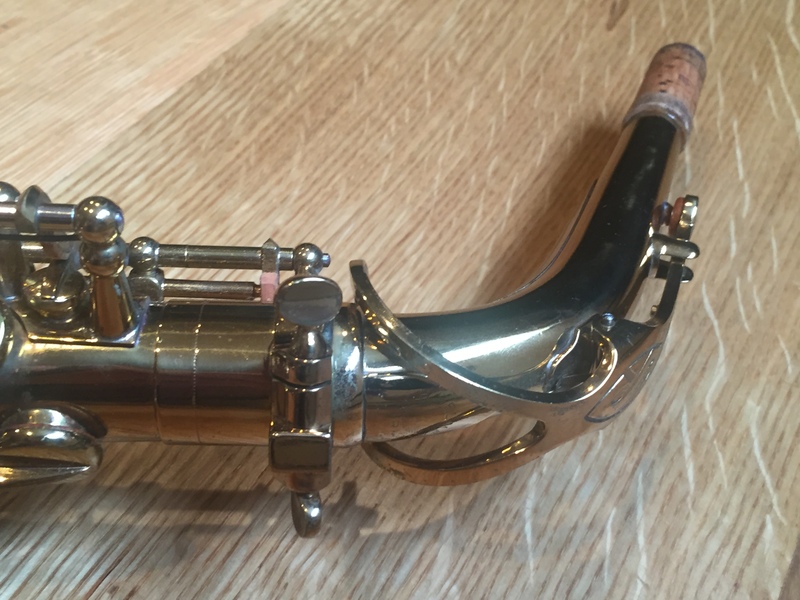 This horn here has old pads and is in fairly leaky condition at the moment, but within THREE notes out of this horn it was clear that it had about twice the volume and depth as that alto that came from Sanborn’s personal stock of players. 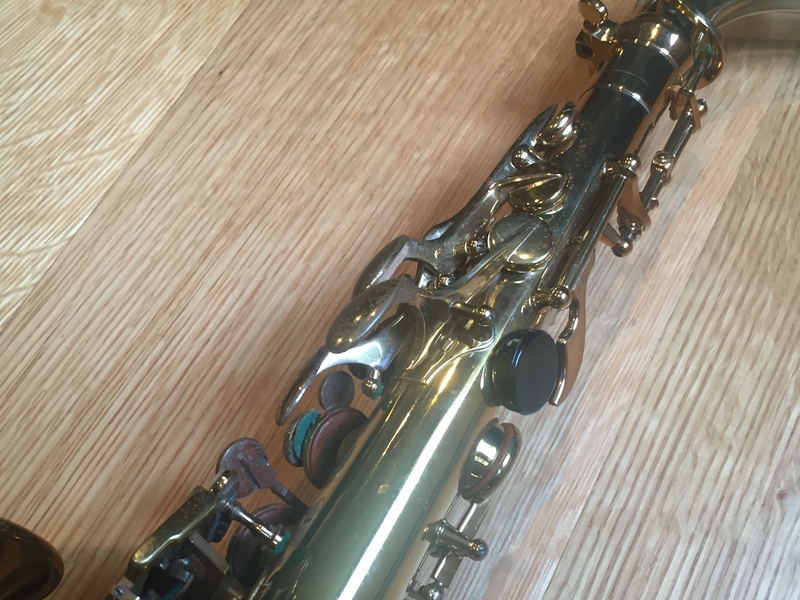 This is probably the best sounding and respinding MK VI alto anyone is going to find… anywhere. 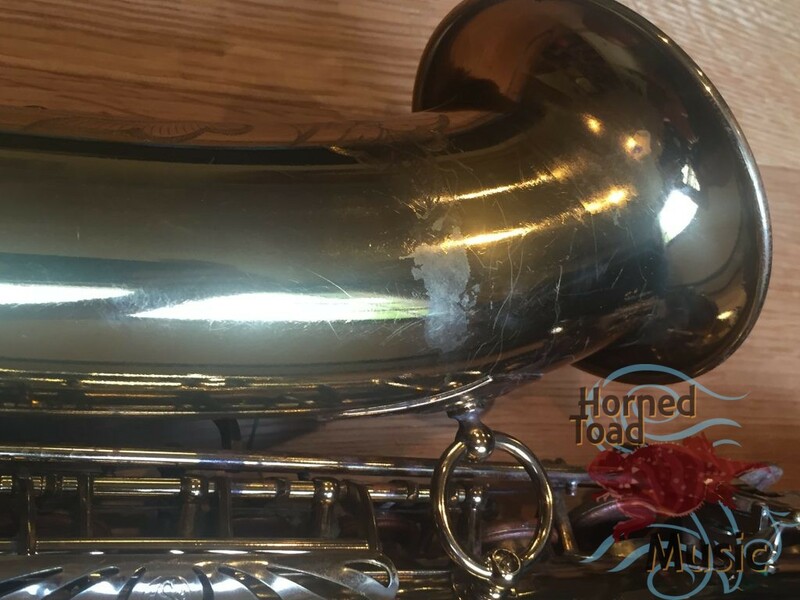 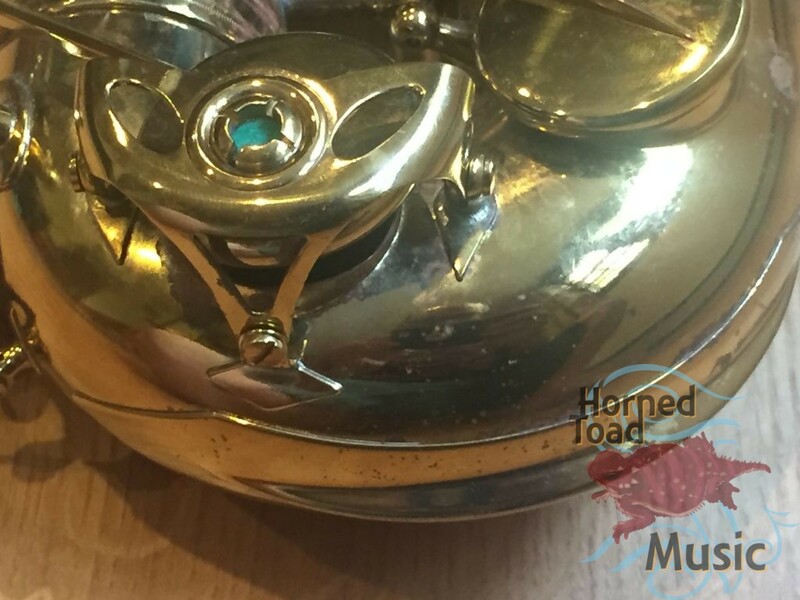 It did not notice any damage on this horn, maybe some TEENY dings, and obviously some scratches. 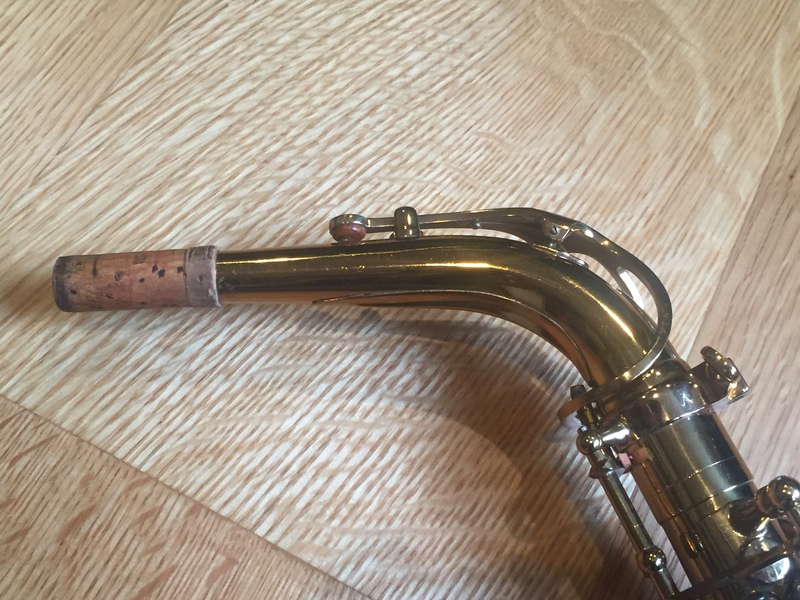 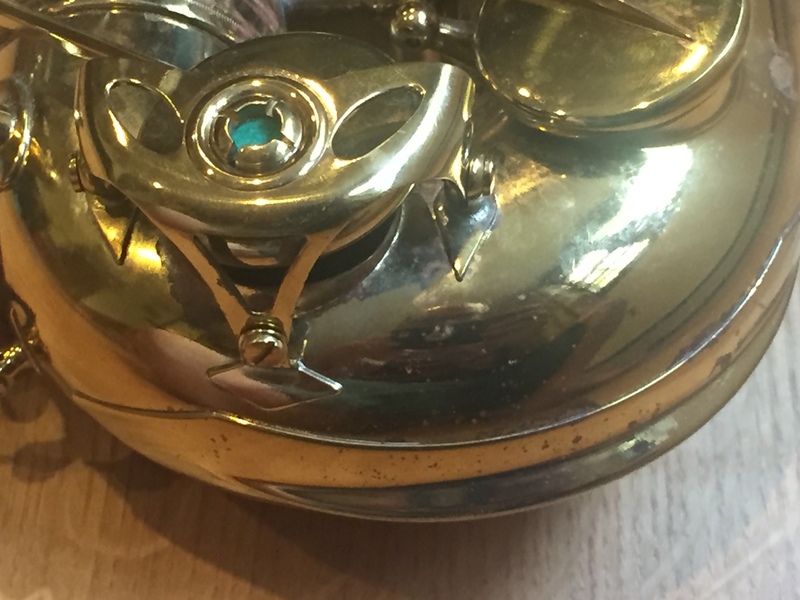 There is some corrosion to the finish as well, but overall it is in excellent condition. 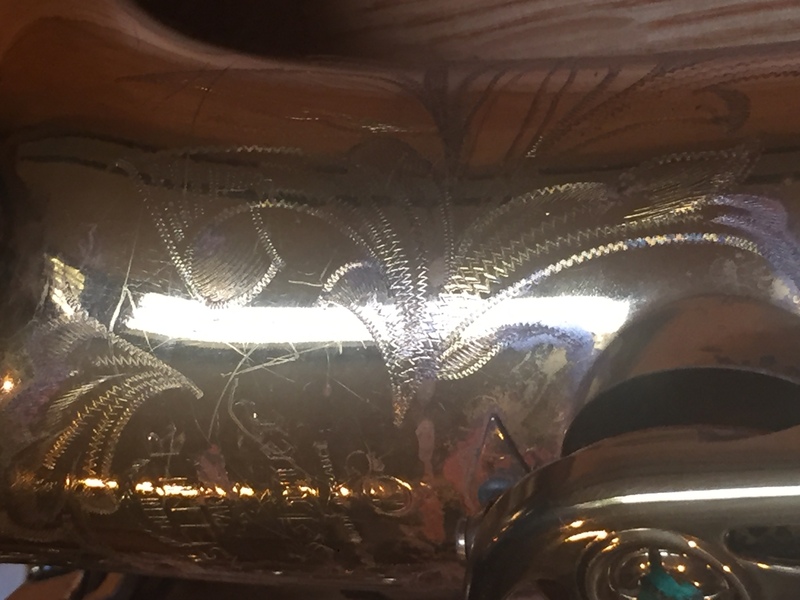 There is one low C key guard foot that came loose and I resoldered it solid, it is shown in the photos but not easy to see and does not show much. The pads are old and will need attention. 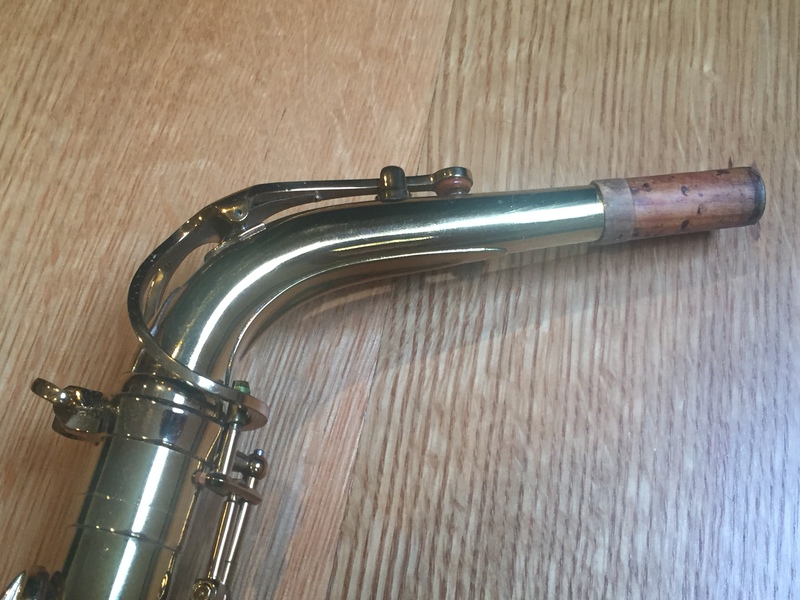 I was truly shocked at the sound that came out of this when I heard it. 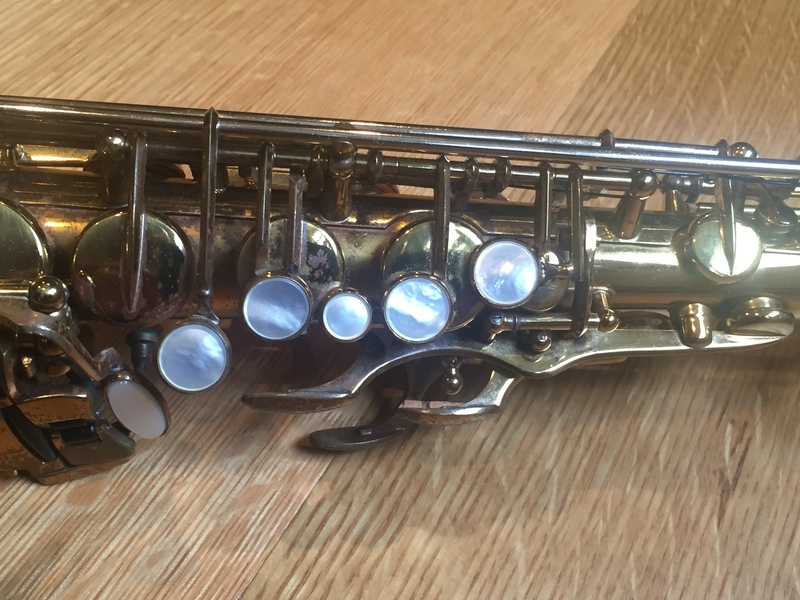 I have played it as well and it is great, but in this case I was listening to someone else play it and compare it and the difference was unmistakeable. This is just an unbelievable player. These are hard to find and this one is easily one of the best examples ever. 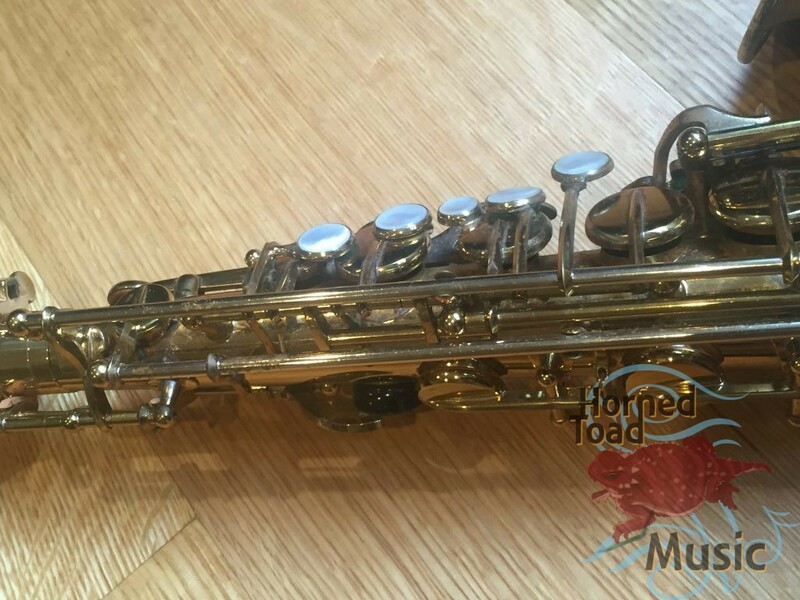 If you are looking for one of these models, time to jump is now.